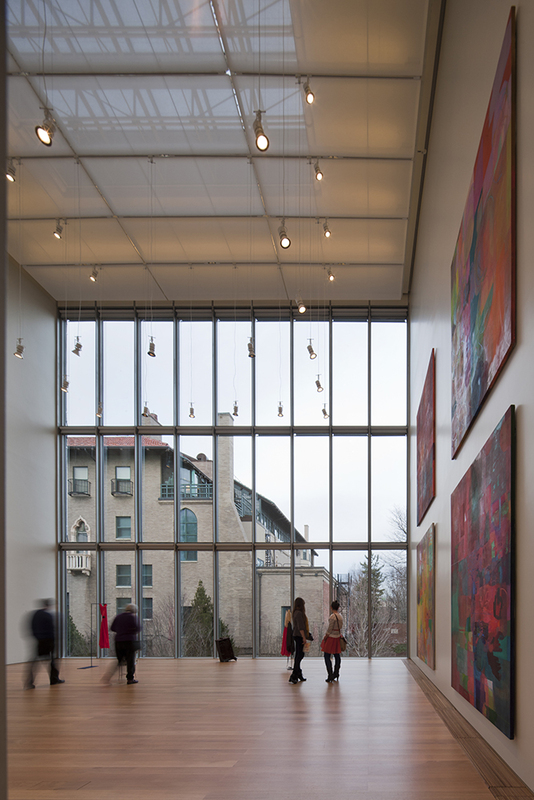 A series of intimate and intricately intertwined spaces, the addition to the Isabella Stewart Garden Museum reveals and unravels layer upon layer of architectural beauty as one makes his way through this remarkable repository of art and life. Much like the original museum, this addition takes a non-traditional approach to the collection and curation of art, choosing to identify as a place of artistic experimentation and cultural innovation rather than simply exhibition. Indeed, this challenging urban site successfully integrates a diverse and complex program into a dynamic series of spaces that are grounded and united in their beautiful expression of craft, materiality, and proportion. An assemblage of four distinctly geometric volumes, the respectfully scaled addition creates an intriguing urban dialogue with the original museum while deftly accommodating a variety of new programs including artists’ residences, a performance hall, a library, an art and artifact restoration center, and gallery space. 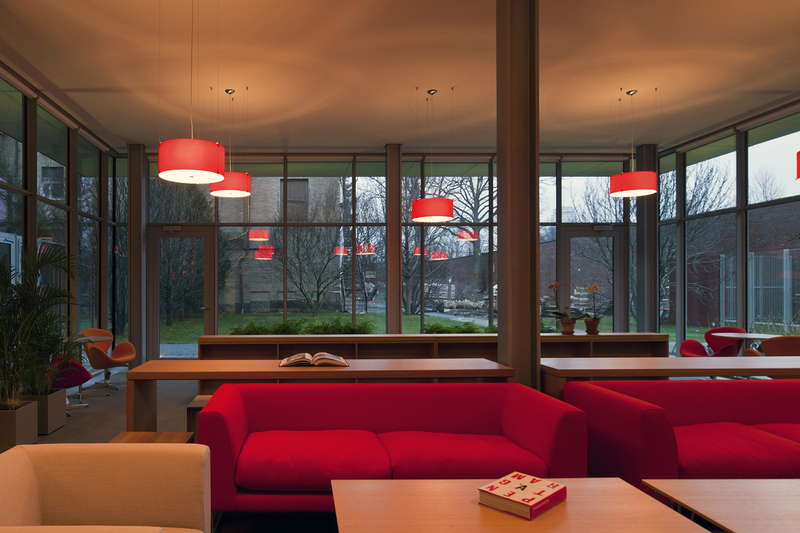 At an architectural level each of these spaces is designed to feel intimate and comfortable, much like Isabella Stewart Gardener envisioned the original museum. However, each space is also given a distinct identity. 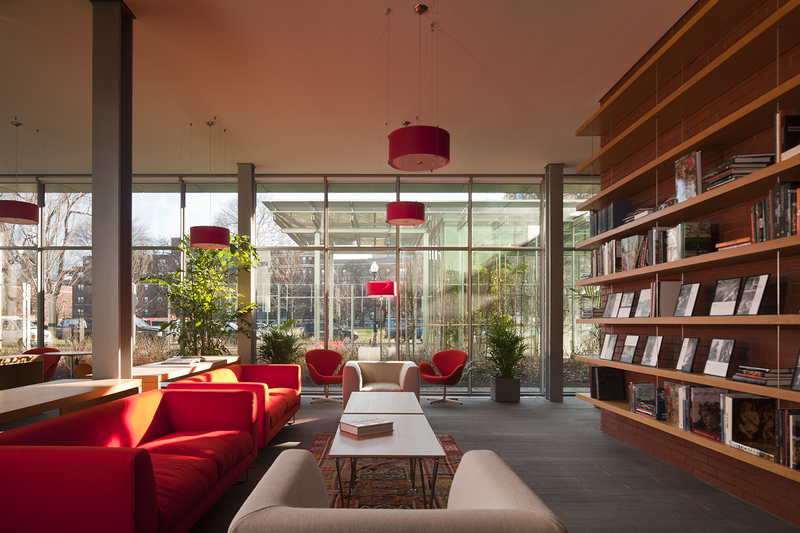 An informal, glass-enclosed library on the ground floor serves as an intimate lounge area that meets visitors upon their entry and integrates and engages the surrounding landscape. 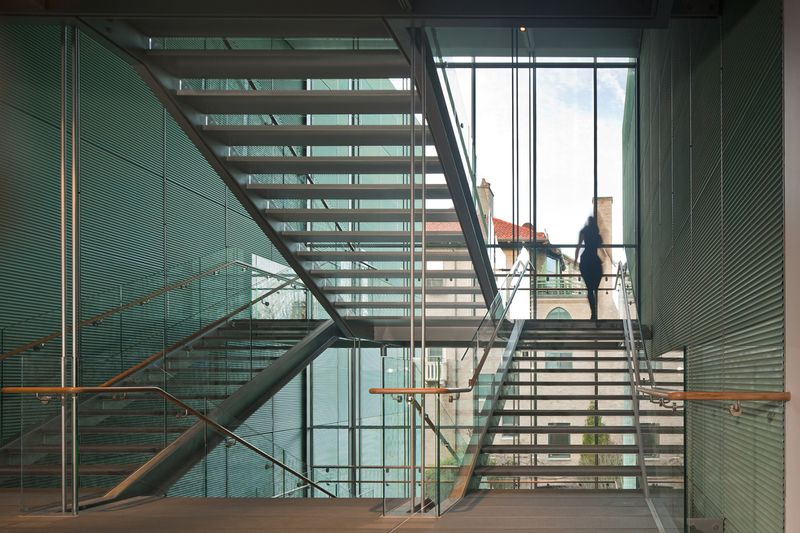 Visitor’s experiences moving through the addition are anchored by a crisply detailed central stair space that features carefully curated views of original museum, always reconnecting the visitor to the elegance of the original museum and adding to the dialogue between the new and the old. 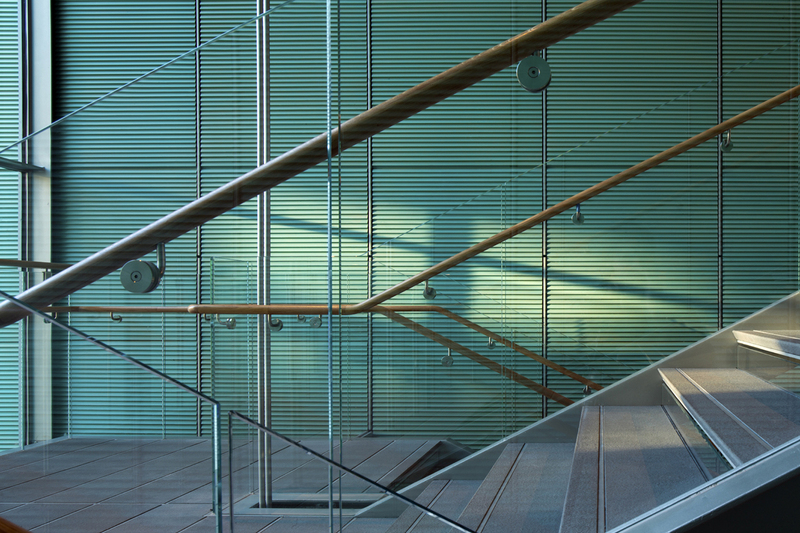 Each turn of the stair allows the visitors to re-discover the old museum and to see it in a new light. On the second floor, the innovative main gallery space features an adjustable ceiling plane to accommodate and inspire a wide range of creative exhibition types. 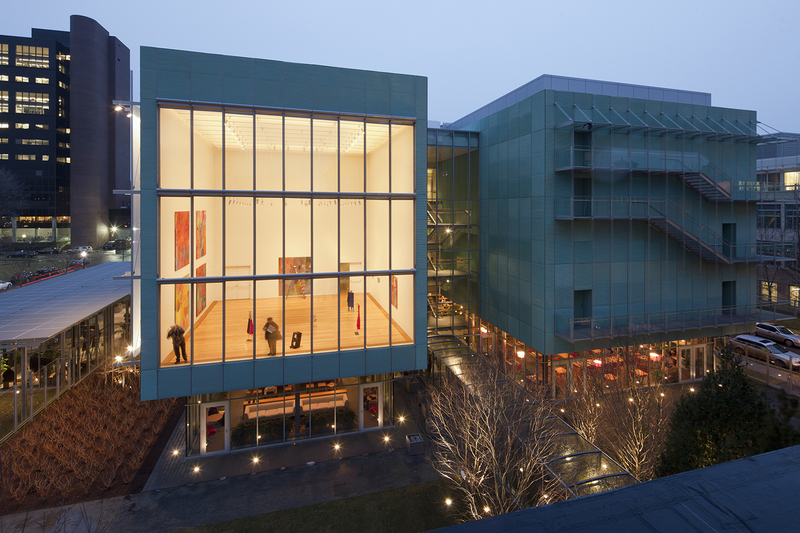 Its large proportions and ideal orientation also offer a beautifully framed view of the Fens across the way and the original museum next door. 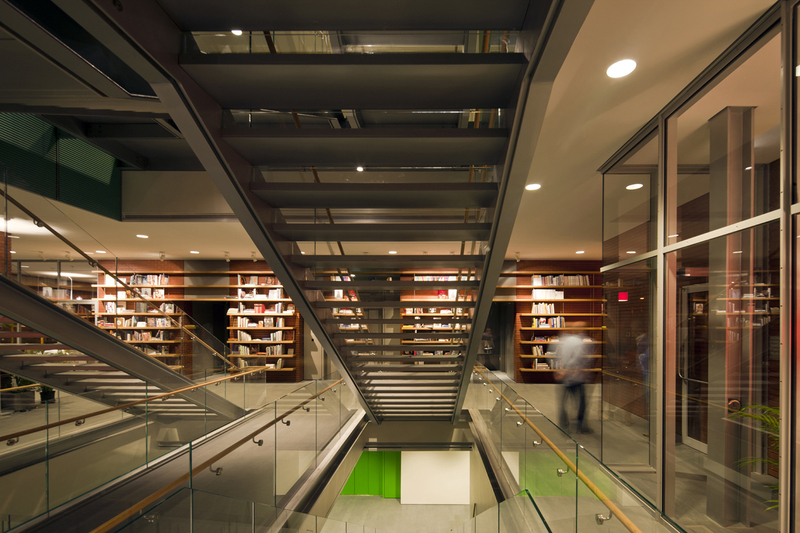 The space’s verticality also sets an exciting and unusual precedent for gallery spaces. 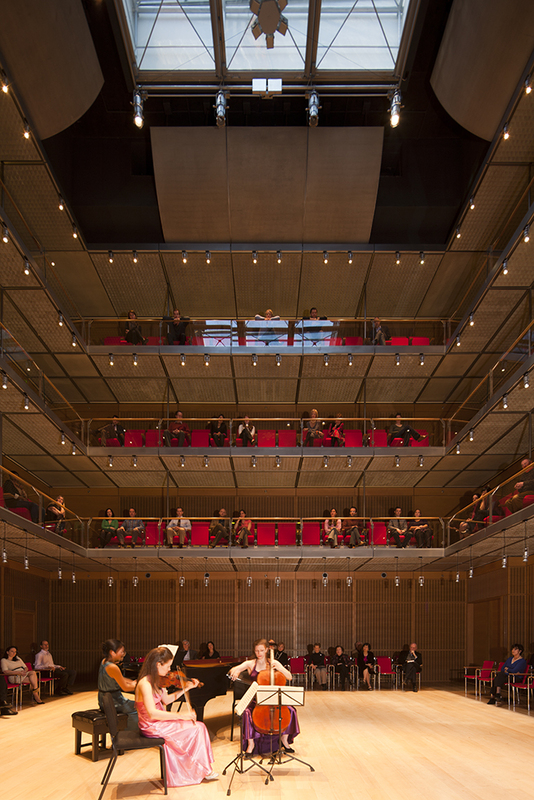 Calderwood Hall, the museum’s performance space, uses finely tuned symmetry and a compact footprint to bring all of its visitors close to the performers for a highly unique performance experience. This finely-tuned acoustic space excels in the use of materiality and detail, from the varying types of wood selected, to the design of the handrails, further define the unique quality of the space and experience. Four steep stories of seating that overlook the performers create a high volume of space that could be thought of as the punctuation mark to a beautiful sequence of spaces. It is in this gradual, layered experience of continual discovery and expression of detail and craftsmanship at every scale that the jury found to be particularly compelling and worthy of this year’s award.